I wasn’t lying when I said I was obsessed with smoothies. 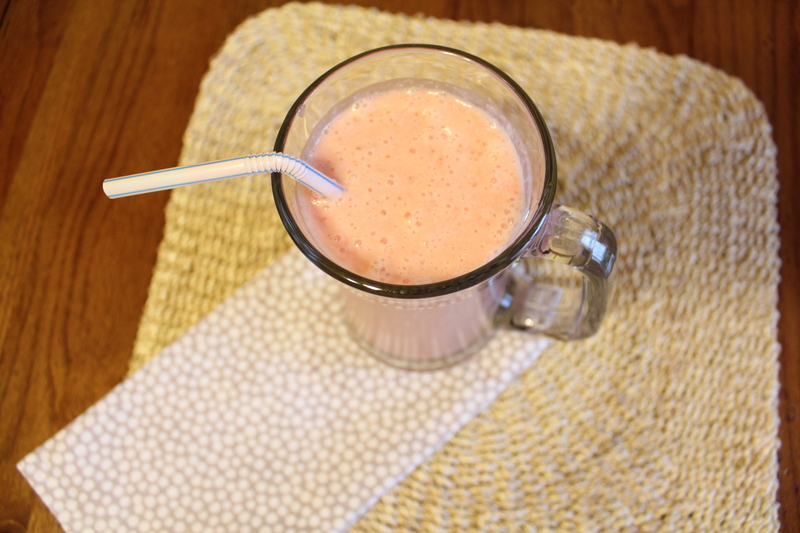 The other day I was experimenting in the kitchen and came up with this pineapple upside down cake smoothie. I had pineapple, cherries, and coconut on hand, so I decided to blend them together. I’m glad I did because the result was delicious. It really tastes like a pineapple upside down cake. Who needs cake when you can have a smoothie? I love the lovely pink color of this smoothie. We can thank the maraschino cherries for that. 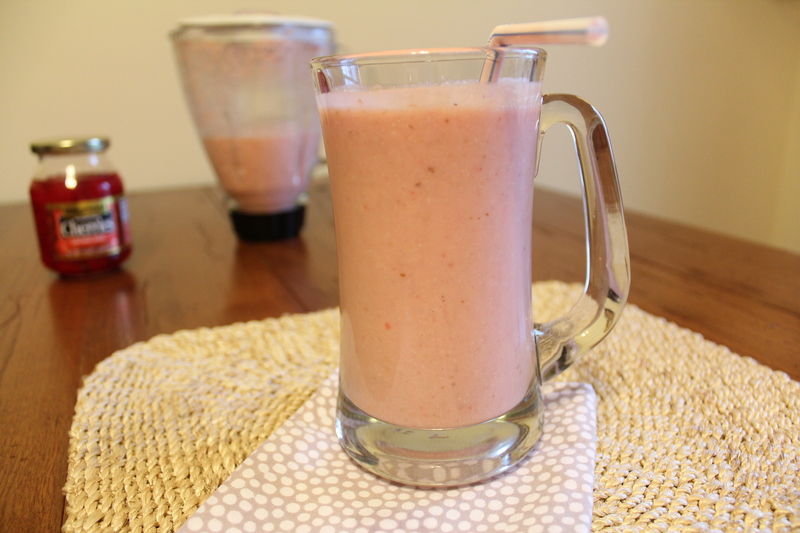 Unlike cake, you won’t regret drinking this smoothie because it’s good for you. It was so tasty, I drank two mugs of this smoothie. Enjoy! Transfer to a large glass. Serve immediately. I love all these ingredients! I can understand why you did not stop at drinking one of these tasty smoothies, I would have probably done the same thing! Now I have to leave this post with a craving….Yum! I’ve been waiting for this one! I’m not a smoothie addict, but now I think I may be! i love this idea for a smoothie! thanks for sharing! wow I never would have thought of a pineapple upside down cake smoothie! great idea and sounds delicious! When can we make these together?!? !